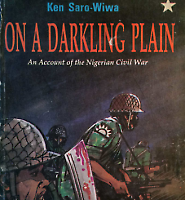 A look at the book covers from African publications. 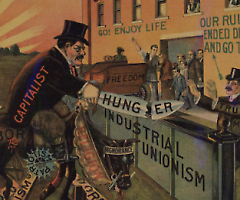 The oldest public collection of radical history completed a digital archive of over 2,000 posters. The Joseph A.
Egyptian activist on ladder at KFC. 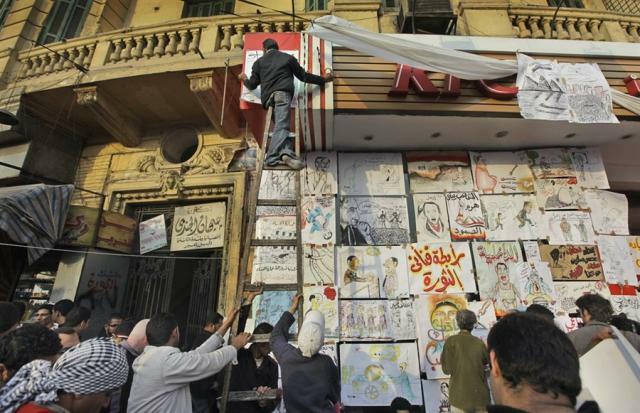 Graphics exhibition during protests.